So, this game for the next Thoughts On that I am going to be talking about is one of my top 10 most anticipated games of 2013. Well, to be more technical, for the rest of 2013 it is one of my most anticipated games. I finally got to play a demo of it twice at a gaming event at my city Austin, along with other Wii U games like Pikmin 3 and Lego City Undercover. Today’s Thoughts on is all about Platinum Game’s next game this year, THE WONDEFUL 101. 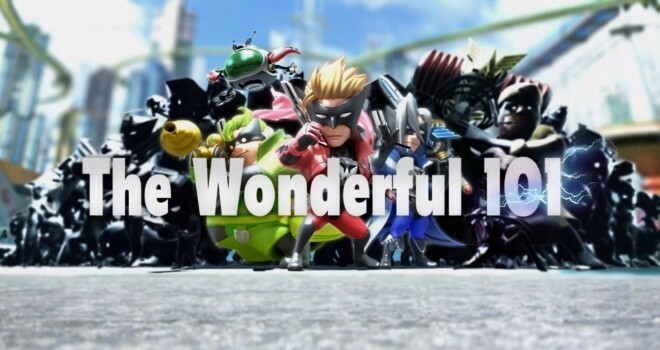 When I first saw this during the E3 Nintendo Conference, I was excited beyond belief. Finally! Another Platinum Game’s title on a Nintendo console and especially one that looks really unique. Sure, it might look like one of the games I mentioned above this sentence, but it is very far from being a clone of that game! I know this since I got to play both games and they are incredibly different. The first time I saw this game was during the E3 conference when I watched the trailer. I was already intrigued, since Platinum Games was going to be behind one of the exclusive games for the Wii U. If you know me, I love me some Platinum Games. They are always a developer that you can count on to make a quality product. This means, anything they do will get my attention. After watching the trailer, I thought about the setting of the game. 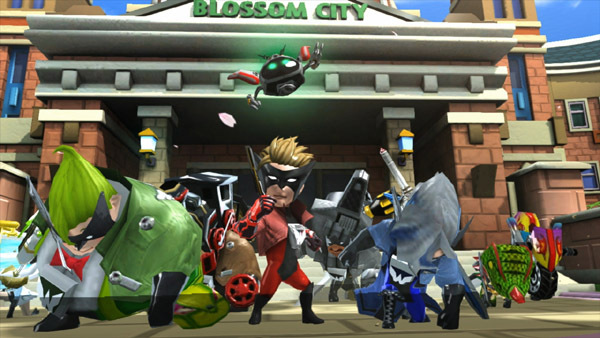 A group of super heroes recruiting more super heroes to fight off an alien threat. 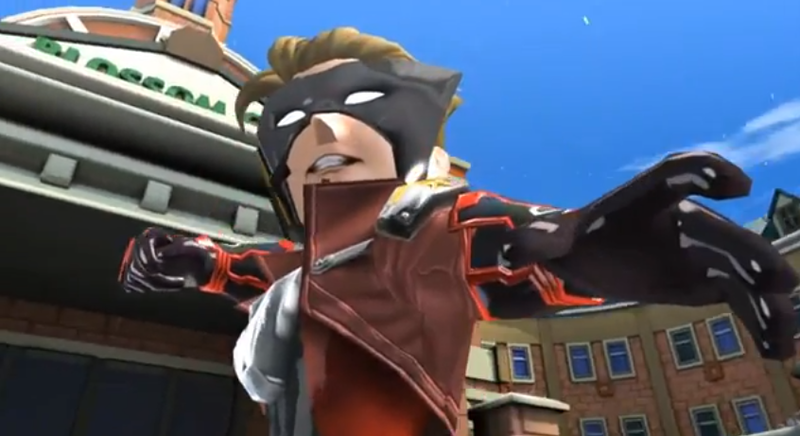 Yeah, Platinum Games isn’t very well known for their amazing storytelling, but there is a certain energy to their games’ stories that tells you that they were having a lot of fun working on the game and knew that, in the end, gameplay is what really matters in the game. This leads me to my next talking point, the gameplay. The one thing I really love about the gameplay mechanics that Platinum Games use in their action games is that they are always unique, or at least really fun to play with, and the gameplay in the demo I played is no different. You control the group of heroes with, of course, the Wii U game pad. The gameplay mechanic of drawing certain symbols on the touch screen to make a special move like a giant fist, sword, and gun to name a few was really smooth and I was worried about that. Sometimes, game mechanics that require you to do a little multi-tasking can look very intimidating and be a bit much for one lone player to deal with. I personally didn’t have any trouble switching special moves when fighting the enemies. Sure, it was a bit weird that I had to press A to make the move activate, but after playing the demo twice, I got used to it, and before I knew it, I was beating the enemy forces into the ground. I also like how you get stronger by adding new recruits to your massive super hero team by using the right analog stick to draw a circle around the people. They even had a cool little element using the Wii U game pad where you went into this building and had to use the smaller screen to look around and turn knobs to solve a simple puzzle. Leave it to Platinum Games to be a developer to have something fun up their sleeves. The boss I got to fight was also fun. Having to fight on his arms was epic. I mean, you are extremely small compared to this giant robot you get to fight in the demo, and that is what Platinum Games is good at, making you fight awesome bosses that are usually bigger and better than the last. Graphically, I have nothing to complain about. The demo I played was the same one that was used at E3, and by my guess, any of the game conventions last year after it was announced. It was bright and colorful, and the game didn’t have any slowdown problems from what I could tell. Sadly, I couldn’t really hear the music due to being in a really crowded area, so I can’t really comment on that, but the music from the trailers for the game sounds epic! So, any concerns before release? Well, I have a few. One concern I had was that there was a timer on the demo I got to play. I should have said this WAS a concern I used to have about this game, where you would play a bunch of small levels for a certain amount of time until you had to fight the boss, but they probably put a timer on the demo so everyone can have a chance to play the game at the events. I also hope there is enough variety in the gameplay before getting to the bosses. The bosses look fun, and the one I fought was incredibly entertaining, but I hope the enemy variety and level design are varied enough to keep the player going. As much as I love Platinum Games, sometimes their games have a bit of an issue being repetitious, like Madworld, Anarchy Reigns, and Vanquish, but they are still super fun to play. This last concern is a bit much, and in the end it probably doesn’t matter, but I hope the game is longer than the usual Platinum Games title. I mean, in the end the game needs to be fun and have replay value, but it wouldn’t hurt them to make a game that is longer than 4-5 hours. I also saw that they had multiplayer in the announcement trailer from E3 2012, and I’m curious to see if they got rid of it or are going to have it, but make it offline, or maybe have it as both online and offline.